The play is called pirate though after the first set of cuts it ultimately is flex. 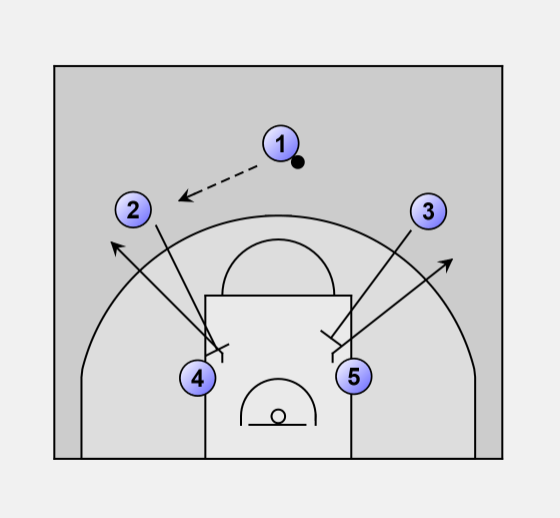 First thing like motion the top 2 and 3 set down screens for 4 and 5. 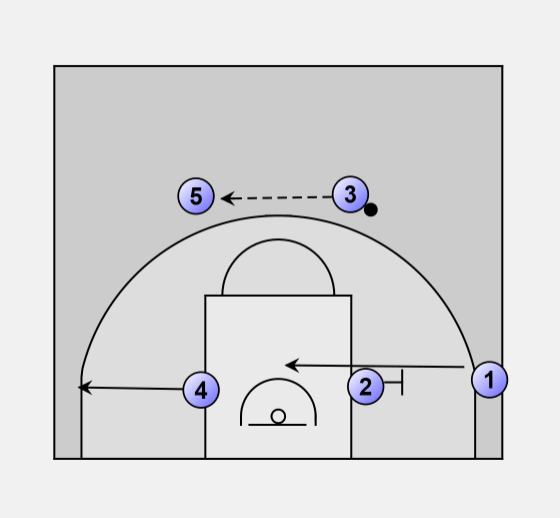 4 and 5 come up outside of the 3 point line. Ball side (2) pops out to the 3 point line. Opposite side guard (5) cuts across the lane for an easy lay-up. 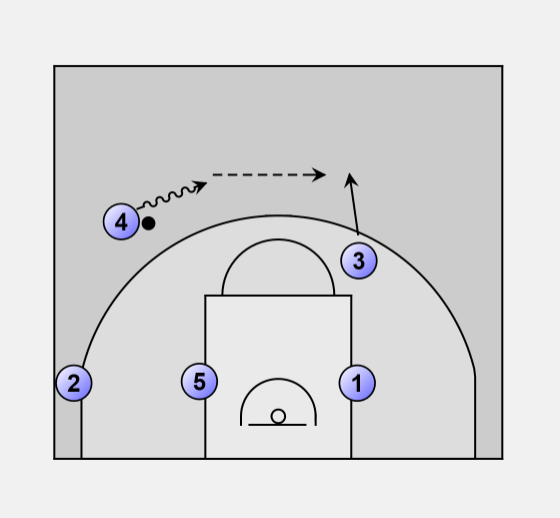 1 sets a down screen for 3. Ball is reversed very important not to throw a cross court pass rather to dribble over and make a nice easy close pass. 4 throws it to 3. 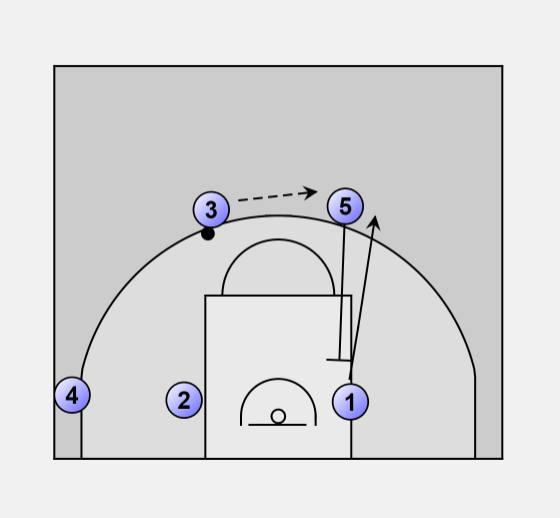 Same thing as before, 2 sets a screen for 1. 1 comes across to the block and 4 pops out to the 3 pt line all simutaneously. 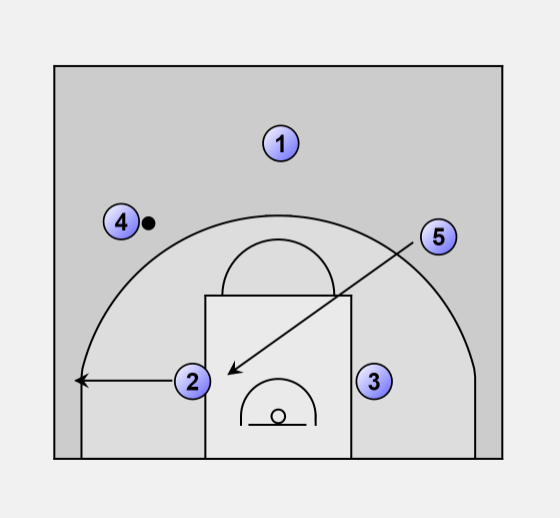 5 throws it to the corner 3 pt line. 5 and 1 pick away from the ball. 3 and 2 come across looking for open shots. 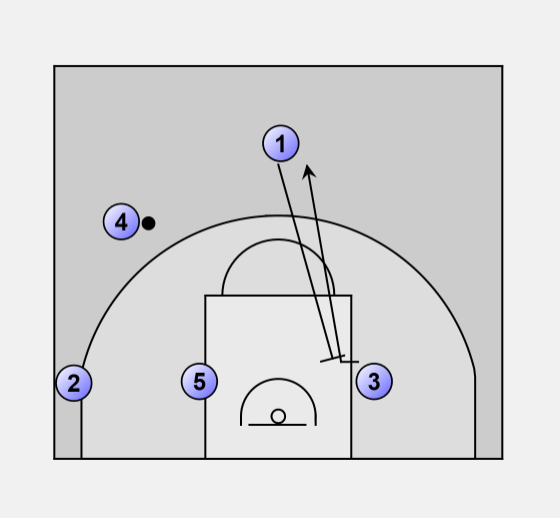 Ball thrown to 3 if and only if 2 is not open. 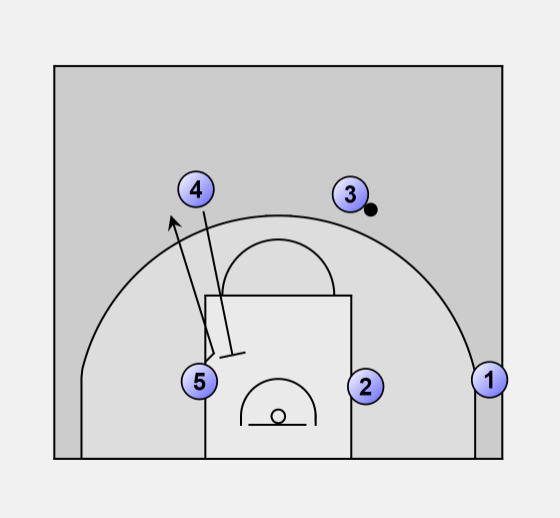 5 sets a screen for one. The corner is applied to both sides.